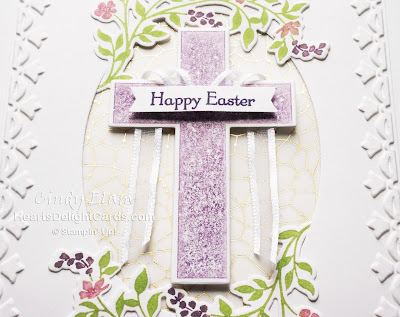 I know tomorrow is Easter, but that's the day the Stamp Review Crew is featuring a new stamp set, so I wanted to share this Easter card today. I really like the way it turned out! 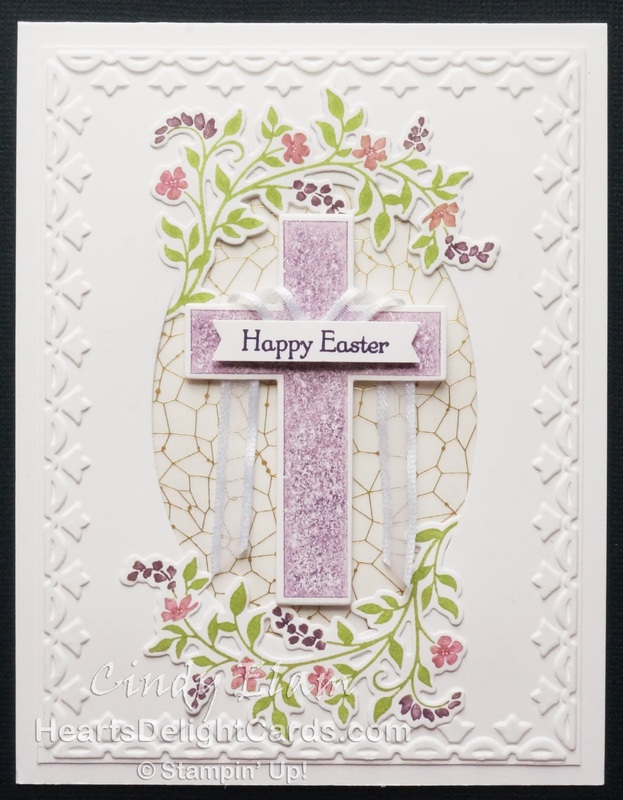 The flowering vine was inked up on a Wild Wasabi ink pad, then I used these precision cotton swabs to wipe off the ink from the flowers and clusters. These are GREAT to have on hand for crafting; they have a firm tip and they don't leave fibers behind. (They also work for removing blobs of mascara from your eyelid. I heard that from a friend, *ahem*.) You can also use a Blender Pen to take the ink off, but probably not blobs of mascara, LOL. 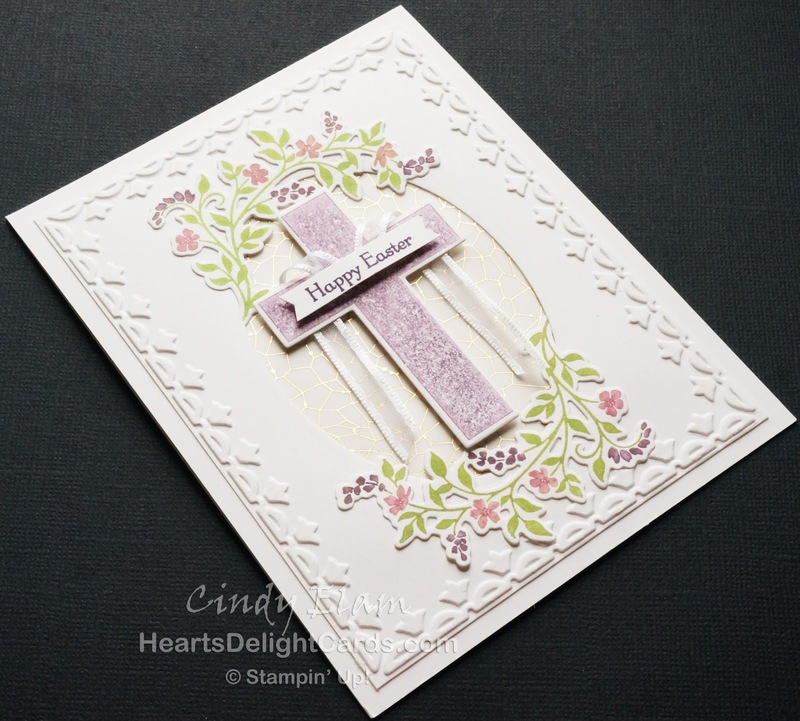 After removing the ink, the flowers were colored with Sweet Sugarplum and the floral clusters with Perfect Plum Stampin' Write Markers, then the stamp was huffed on to re-moisten and stamped on Whisper White cardstock. 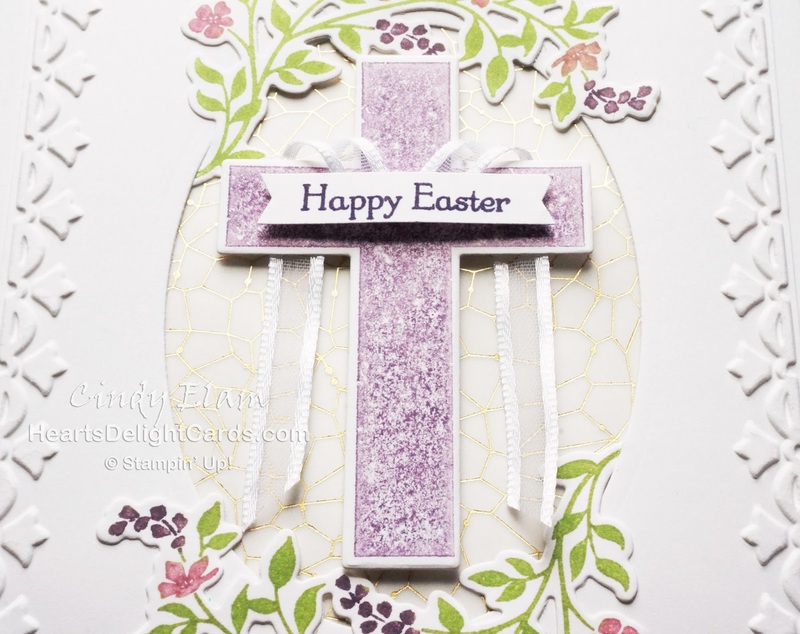 The cross was stamped in Perfect Plum (stamped it off twice, & then huffed). Two retired items were used here - the Framed Tulips embossing folder for the frame, and the Winter Wonderland Designer Vellum Stack for that lovely cracked glass look behind the cross.